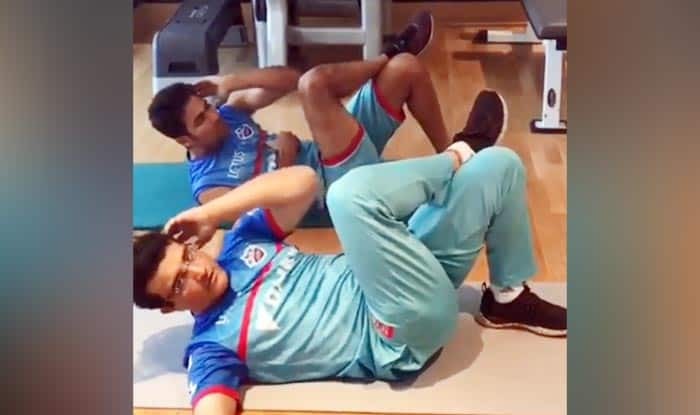 In a bid to keep their health on point, Delhi Capitals advisor Sourav Ganguly in the company of assistant coach Mohammad Kaif worked out together, setting new fitness goals for their followers. Delhi Capitals’ (DC) star-studded coaching team comprising of the likes of advisor Sourav Ganguly, head coach Ricky Ponting and assistant coach Mohammad Kaif is already quite a reminiscence of a golden era for the cricket fans. This coming together of three of the icons of the game to guide a young Delhi side in the Indian Premier League (IPL) has captivated the interest of many fans. Labeled as ‘underdogs’, the DC are also benefitting from the guidance of the veterans, they are currently placed second on the table standings following a profound victory against the Sunrisers Hyderabad. It is not just their performances on the field, it is also their spirit off-field that reflects a strong camaraderie between the players – a quality which can go a long way for any group in any field. After their 39-run victory against Sunrisers Hyderabad at the Rajiv Gandhi International Stadium in Hyderabad on Sunday, the team members including the likes of Shikhar Dhawan, Rishabh Pant and Ishant Sharma were seen grooving to some music. Following that, it was the pair of Ganguly and Kaif who were seen working out. In their previous match, under dramatic conditions, it was the young pacer Kagiso Rabada who displayed a clinical effort as he bagged four wickets. Speaking after the game, DC skipper Shreyas Iyer hailed his side and insisted that they are aiming for nothing short of the coveted IPL title. “We believe so and it’s never too far (if they can win IPL). It started to slow down. Me and (Rishabh) Pant had decided so that one of us will take the charge. We got a little cameo from Keemo and Axar and helped us get to that total,” he said. “We have played together (talking about Rabada and himself during the under-19 days). It is good to be around each other. It is easy to have that camaraderie. It is a positive thing to carry around. We are positive as well when we chase. We will be backing our abilities,” he said.